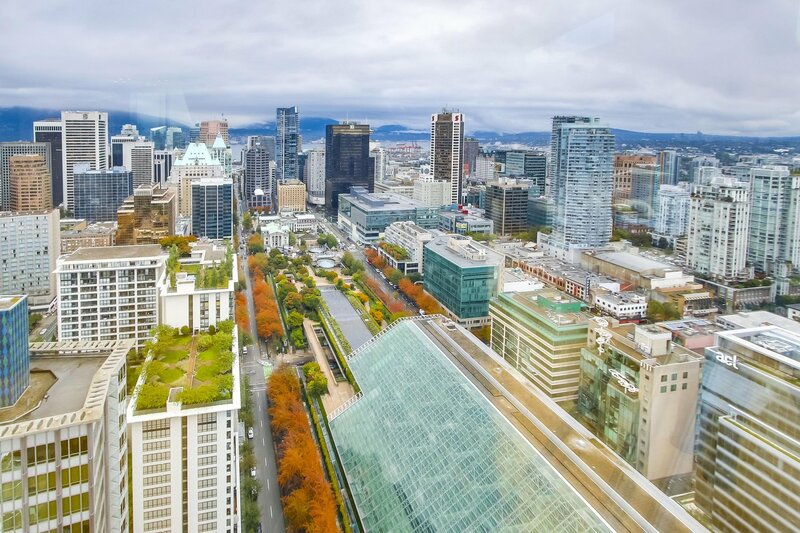 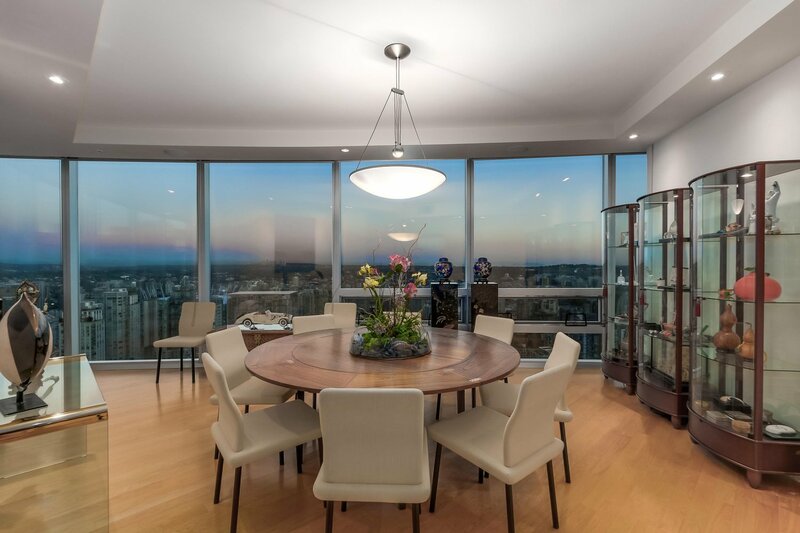 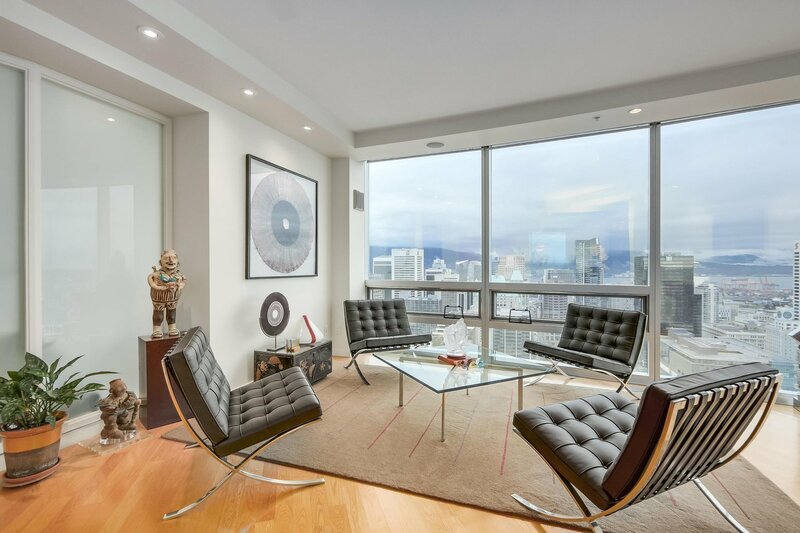 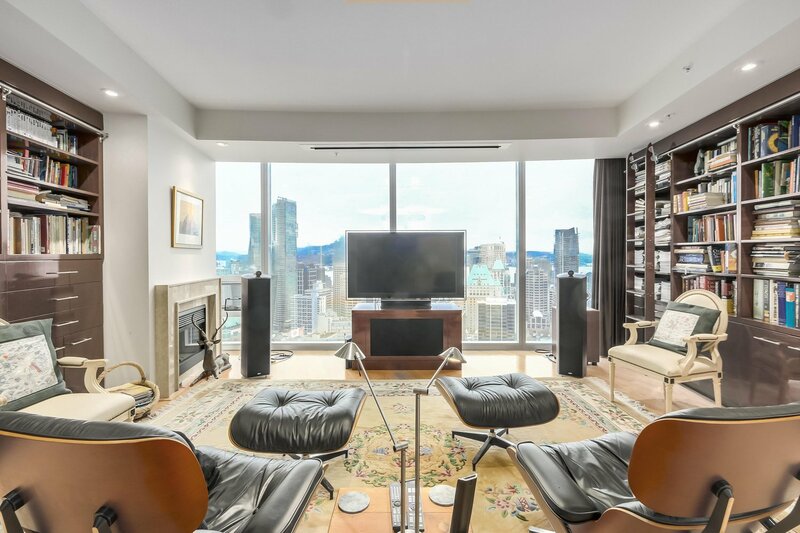 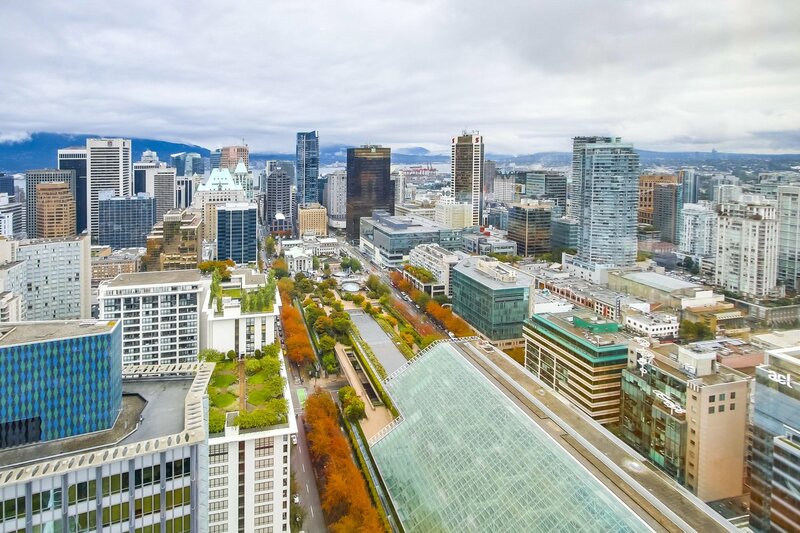 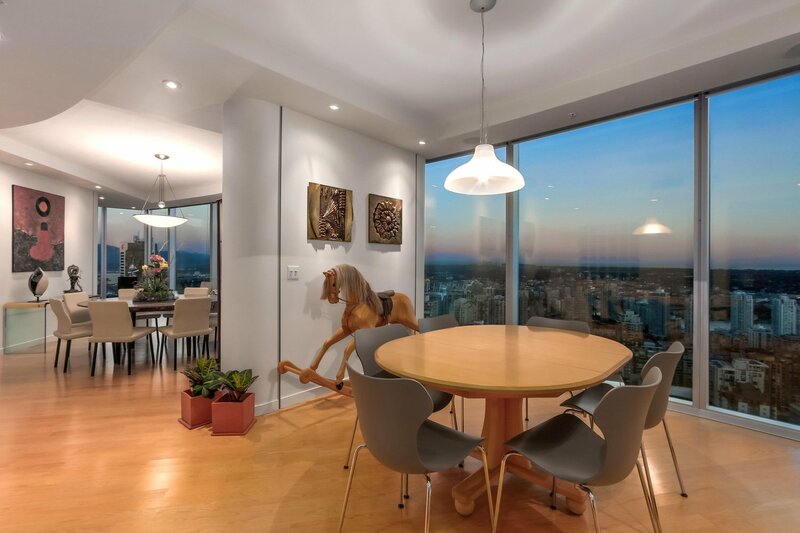 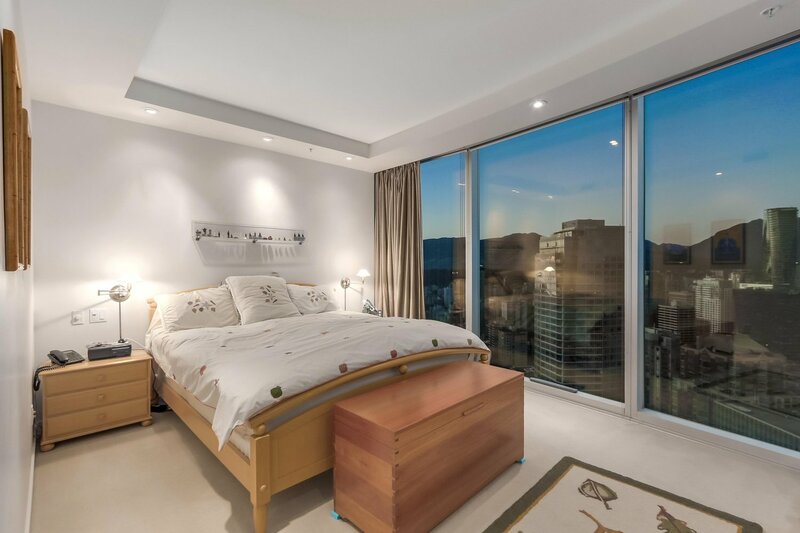 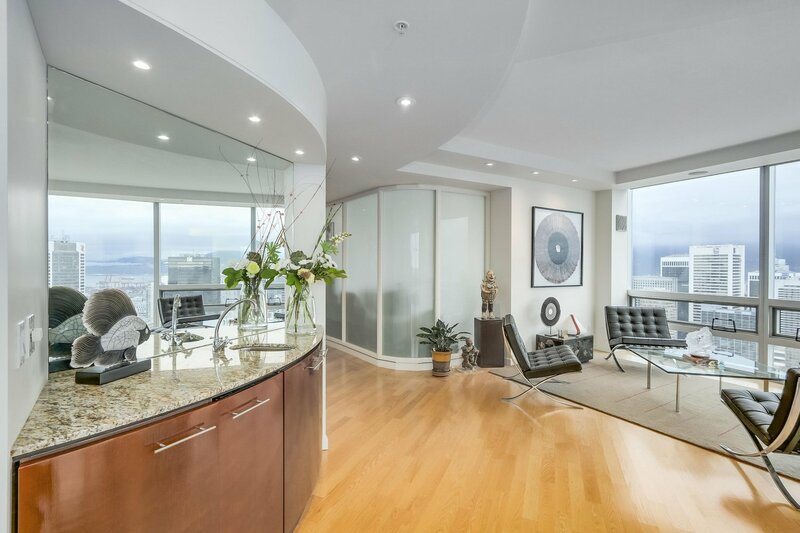 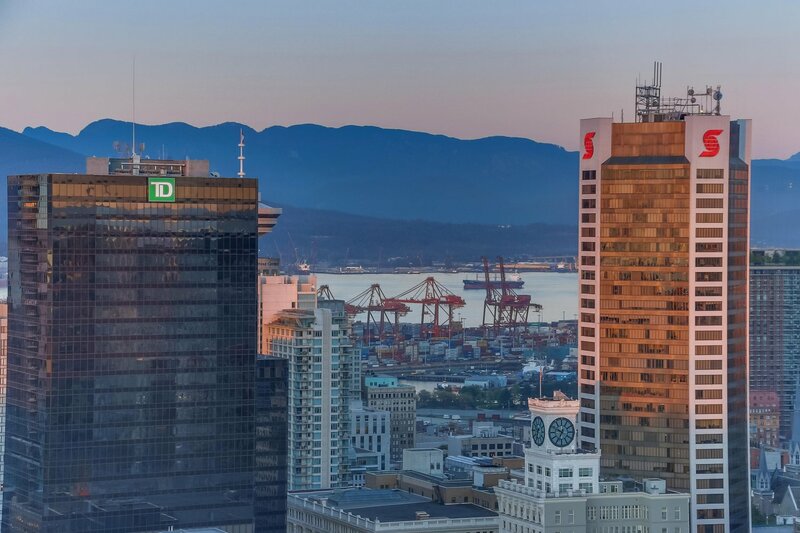 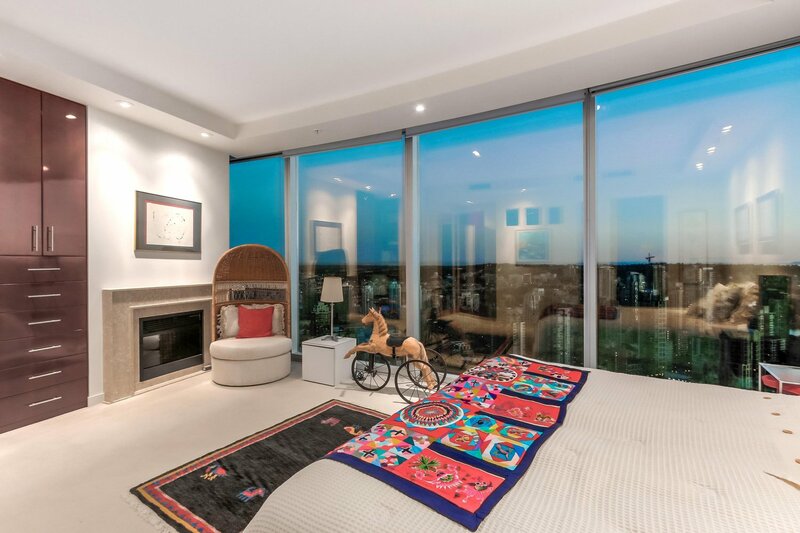 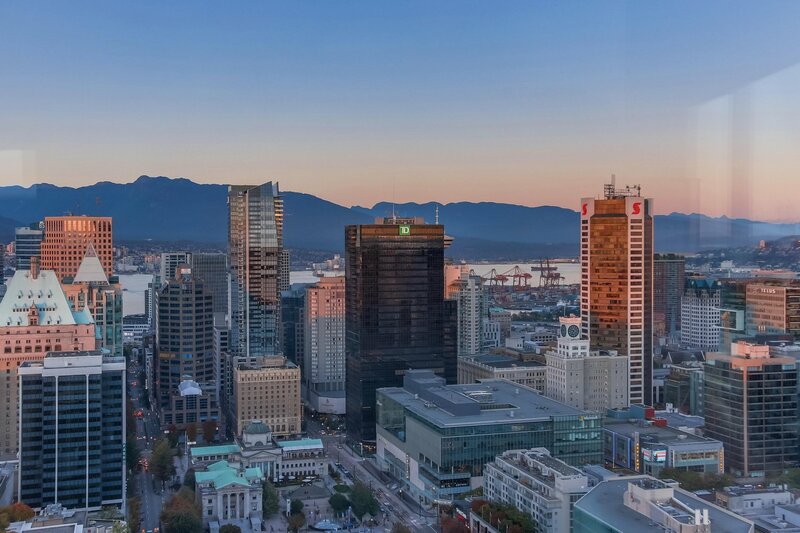 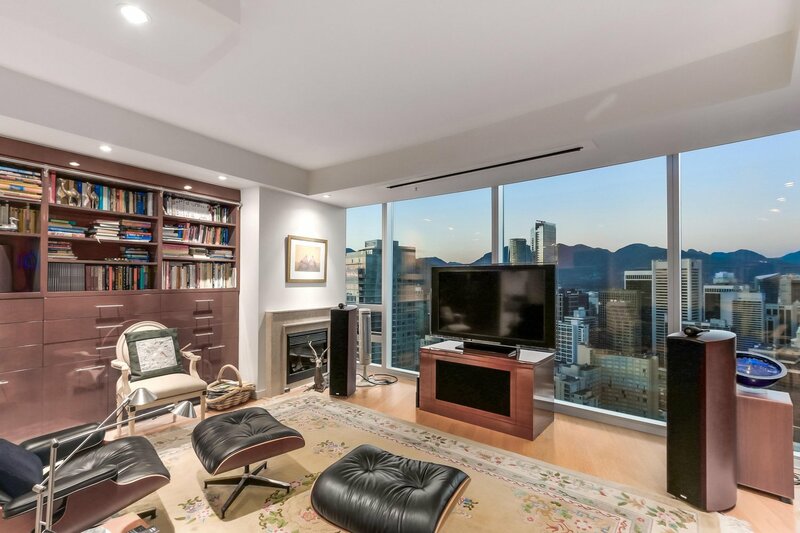 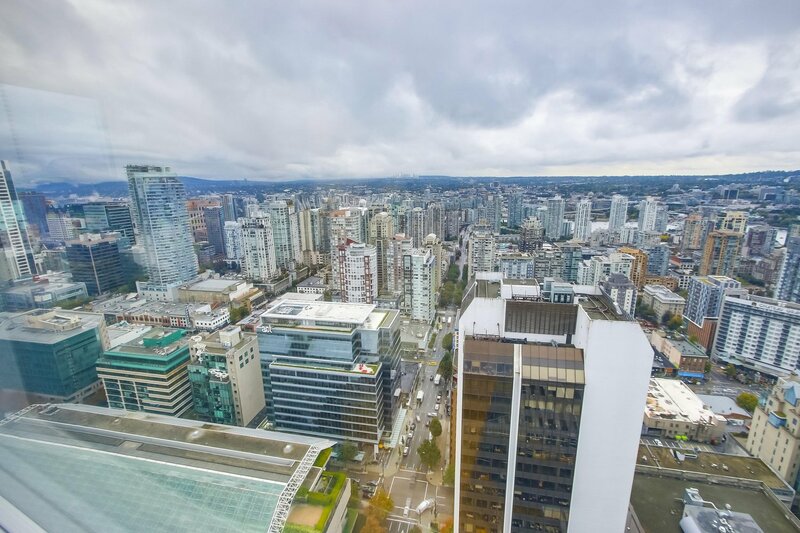 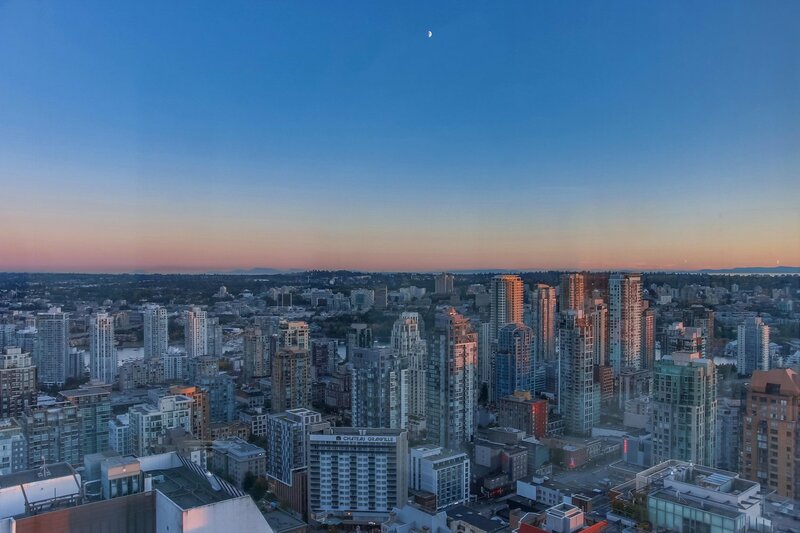 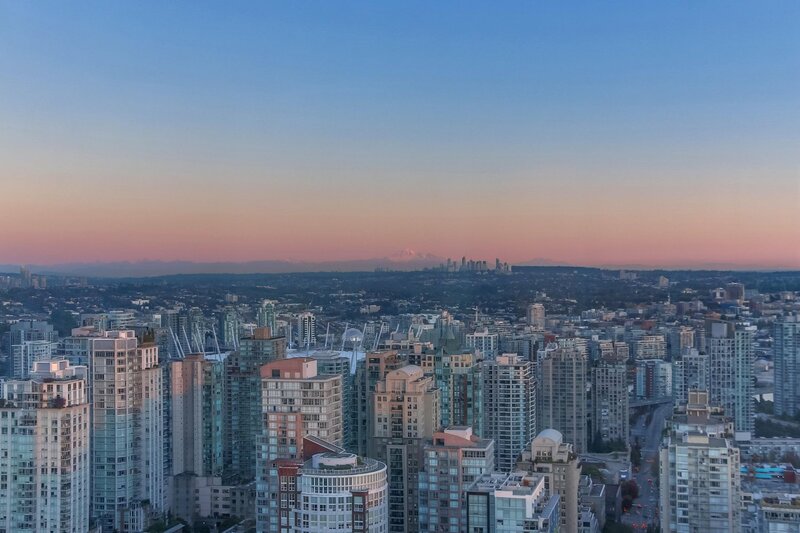 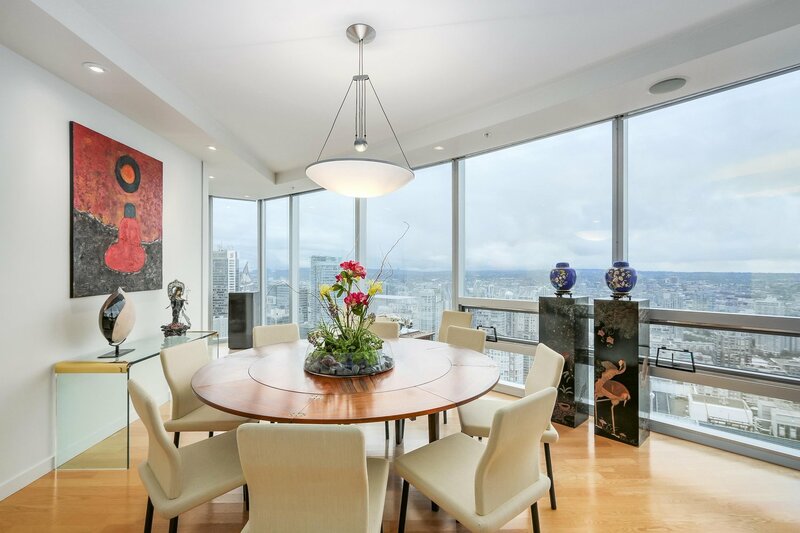 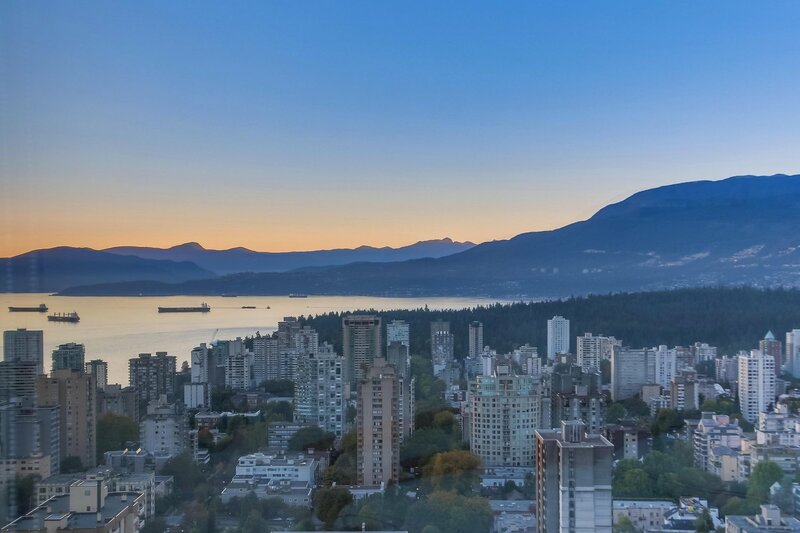 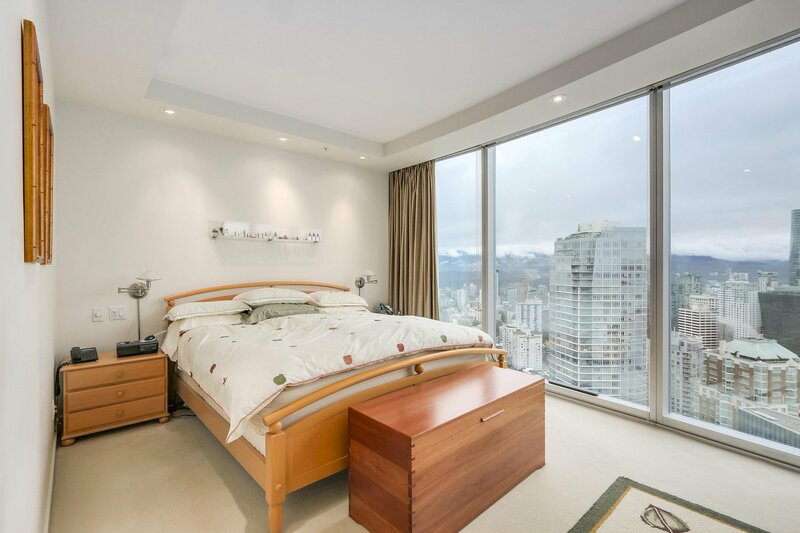 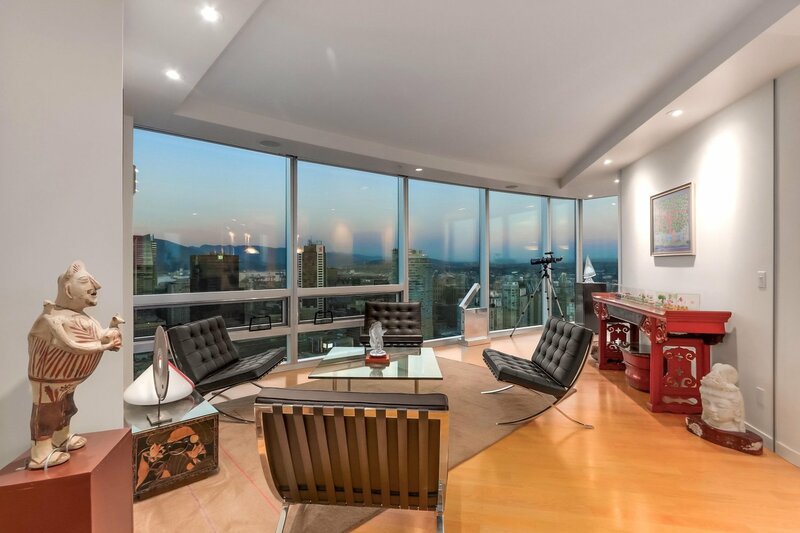 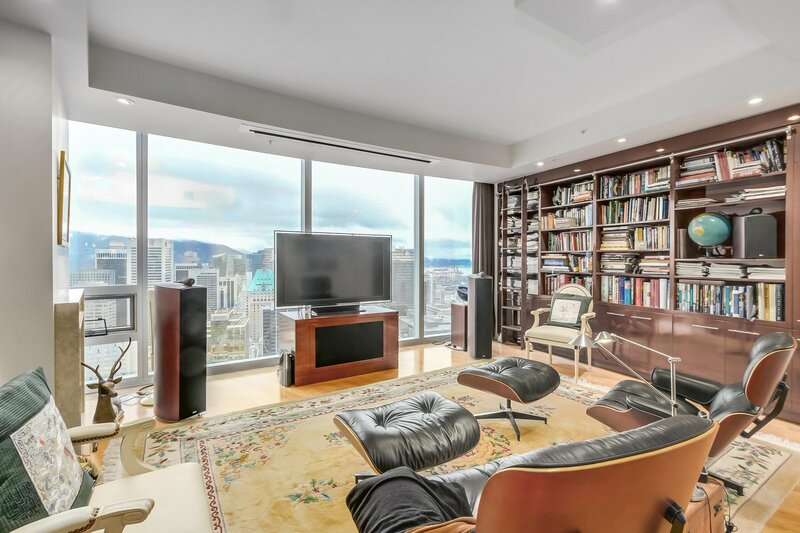 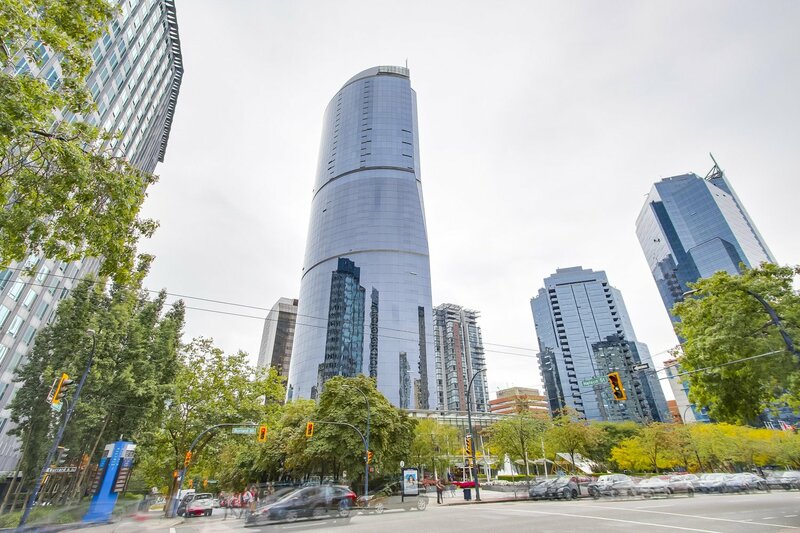 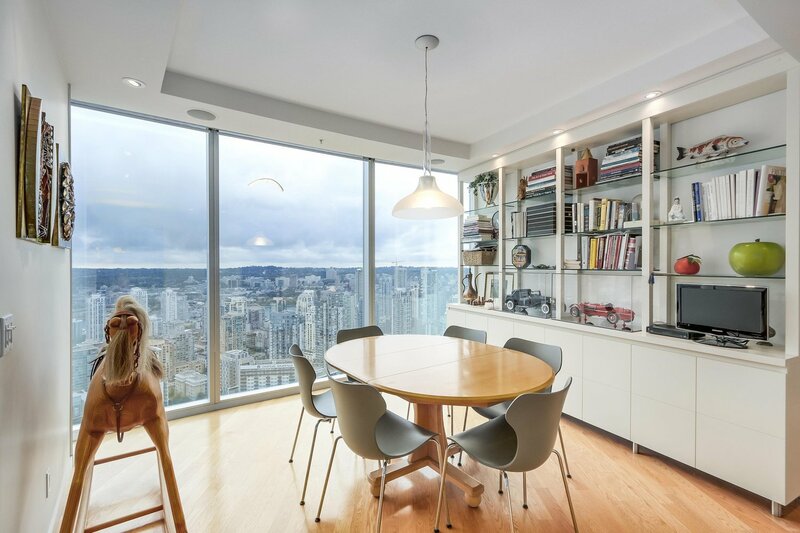 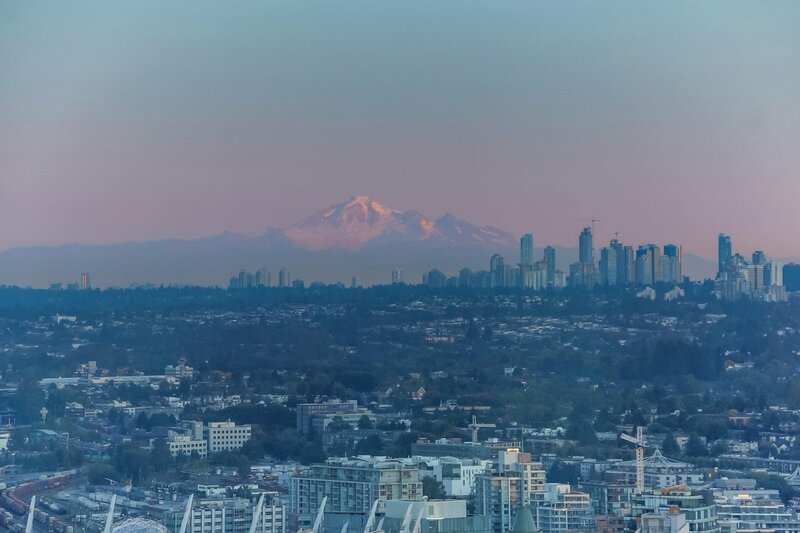 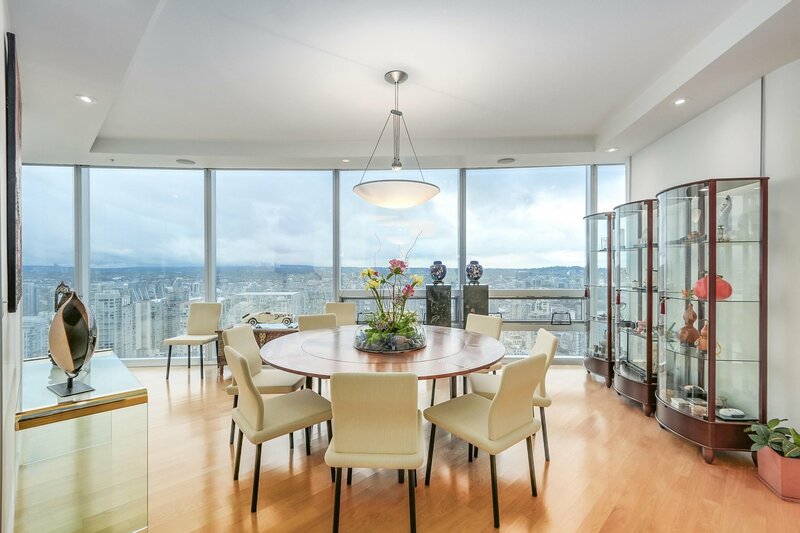 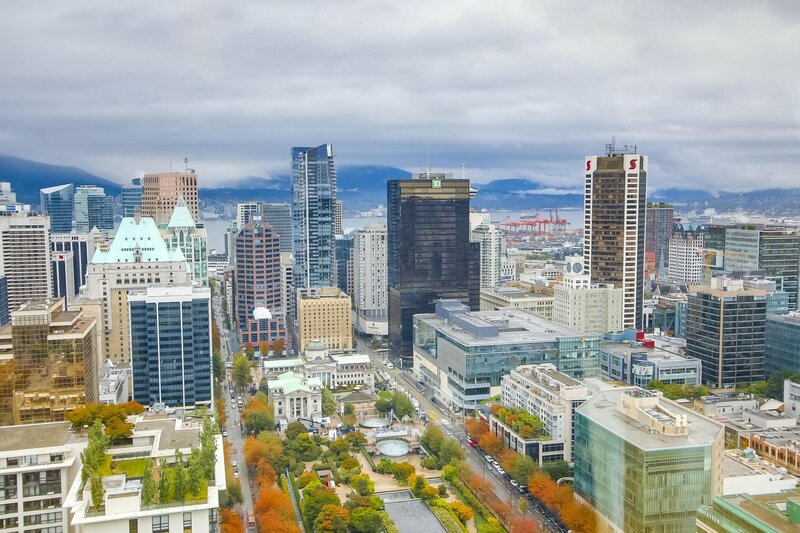 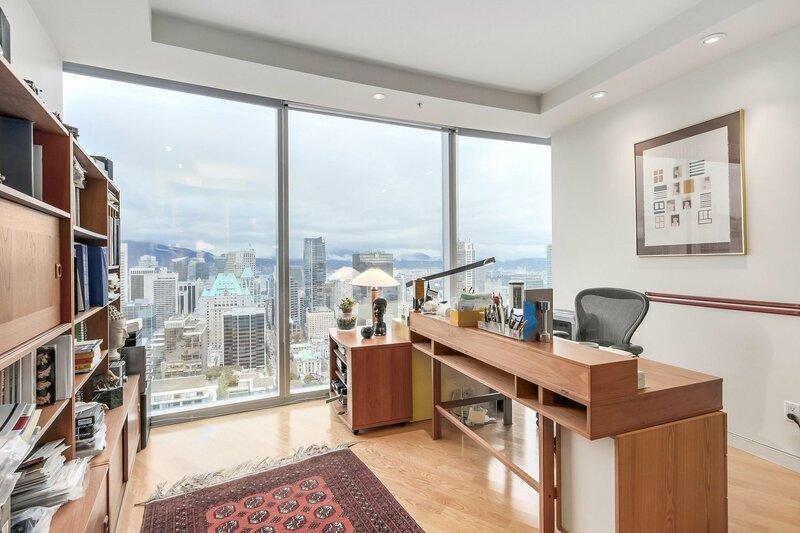 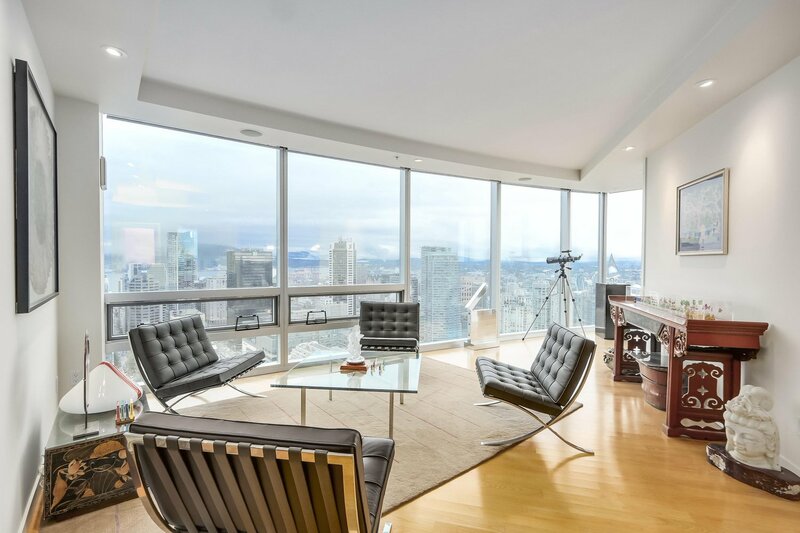 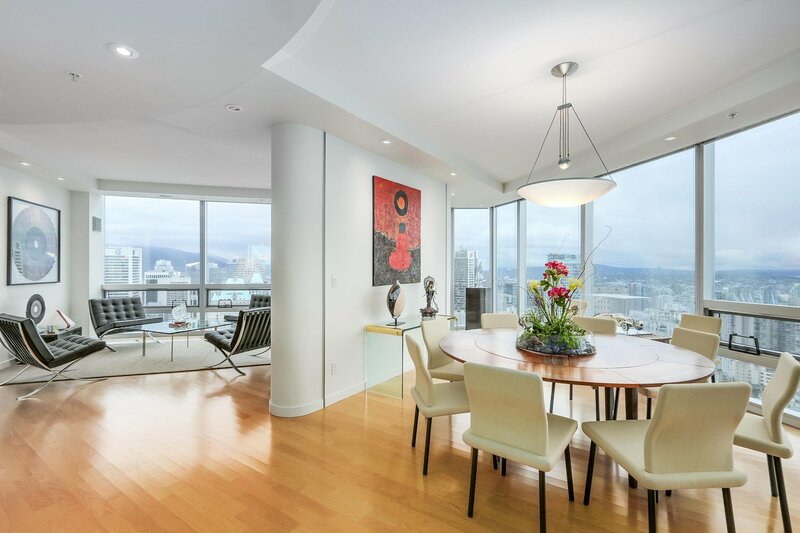 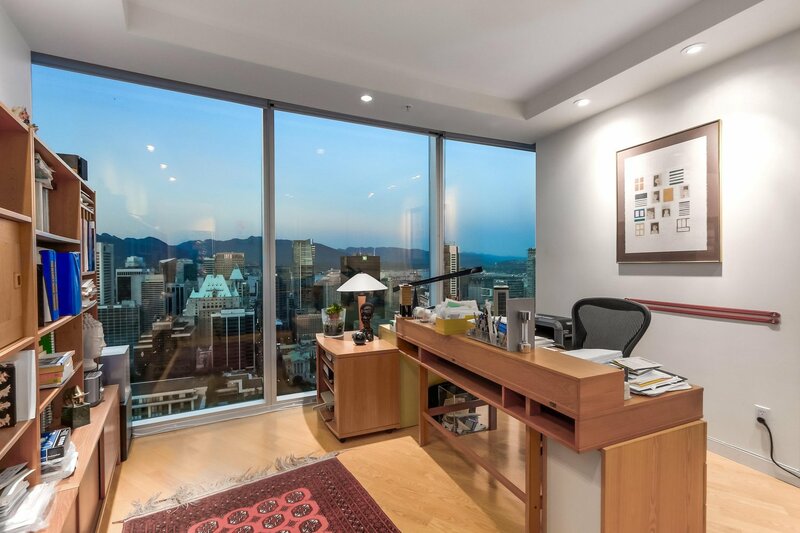 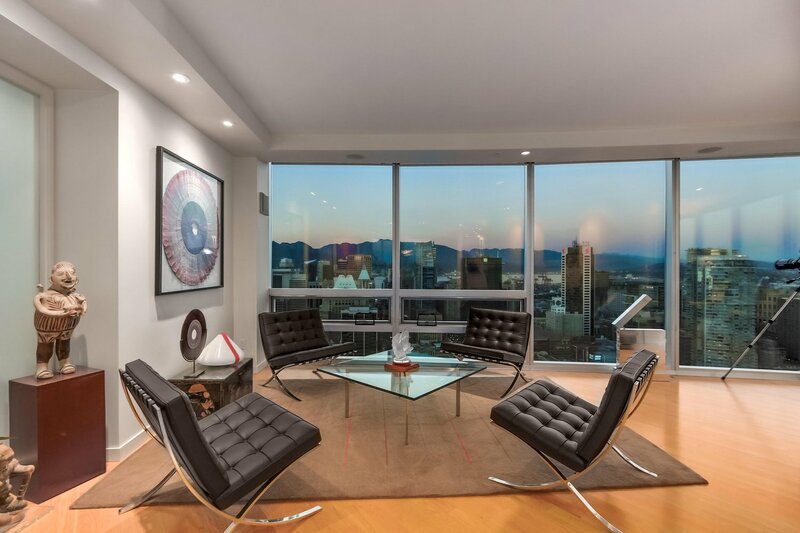 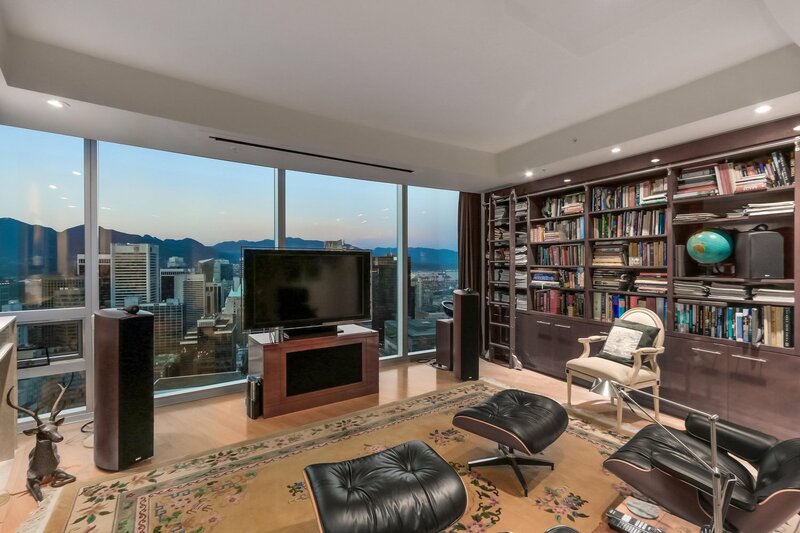 ONE WALL CENTRE - Sweeping unobstructed views of the ocean, mountains and horizon in one of Vancouver's most prestigious towers. 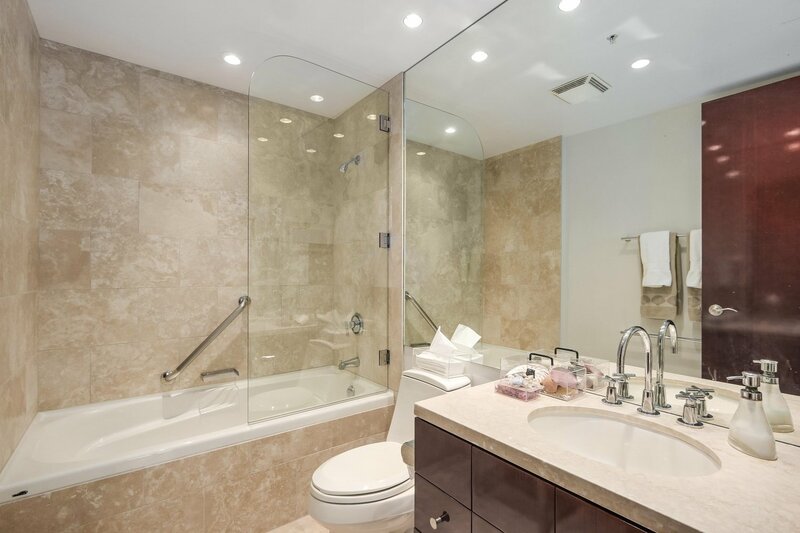 Featuring 4 bedrooms, 4 full bathrooms, theatre/library room, laundry room, wet bar, and floor-to-ceiling triple glazed windows in every room. 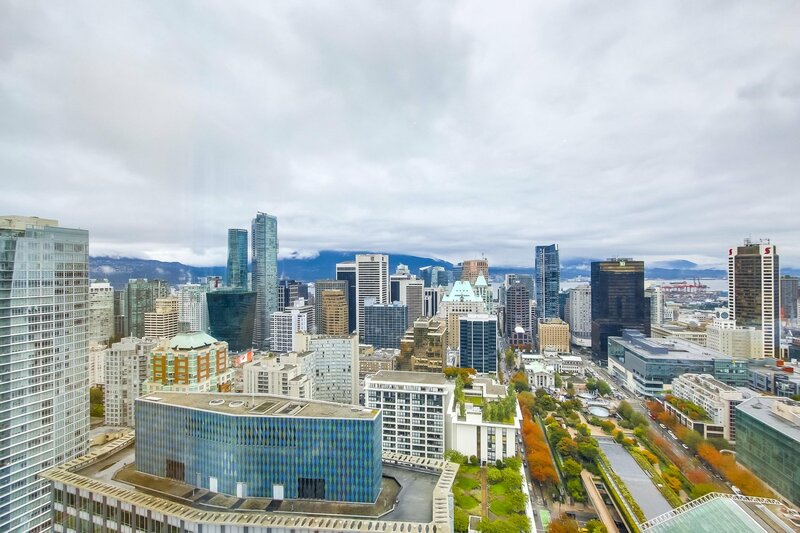 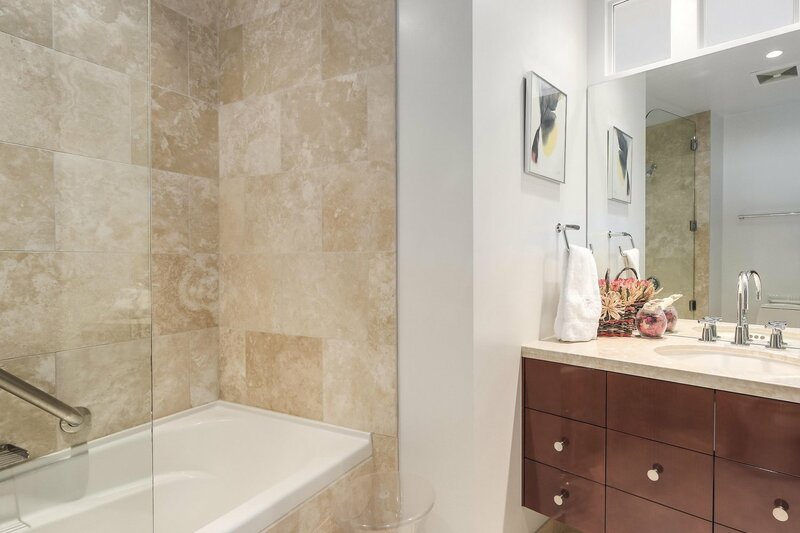 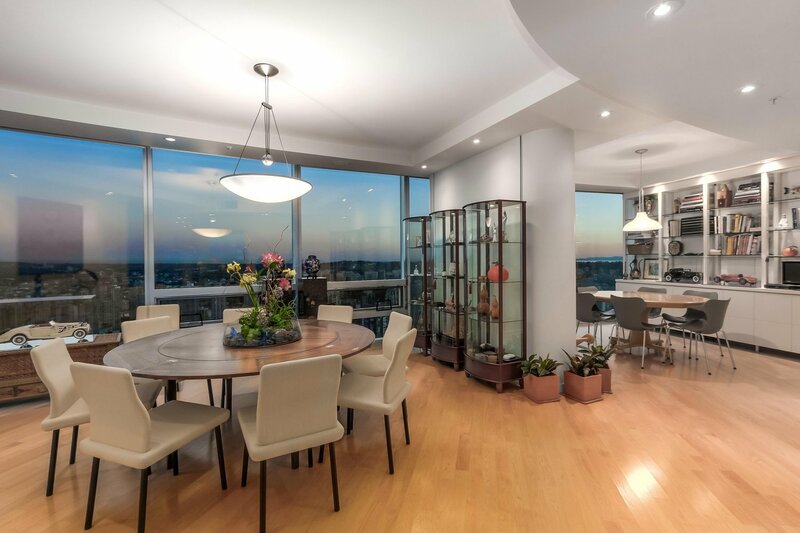 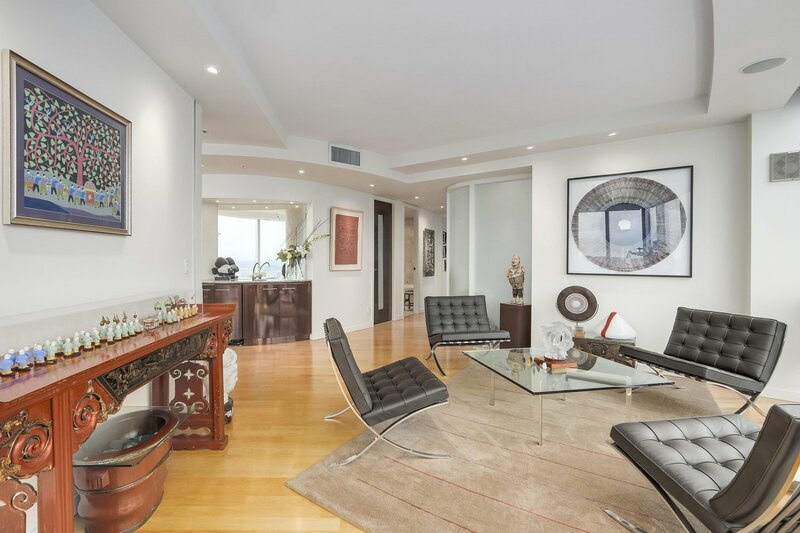 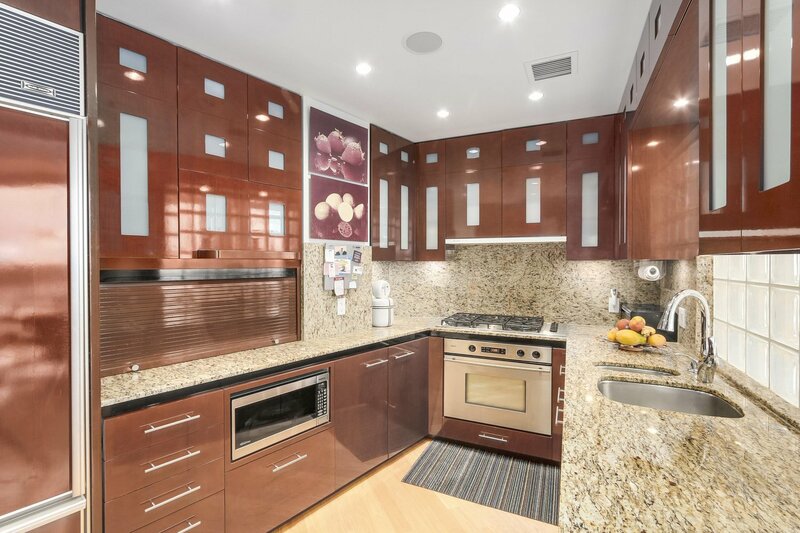 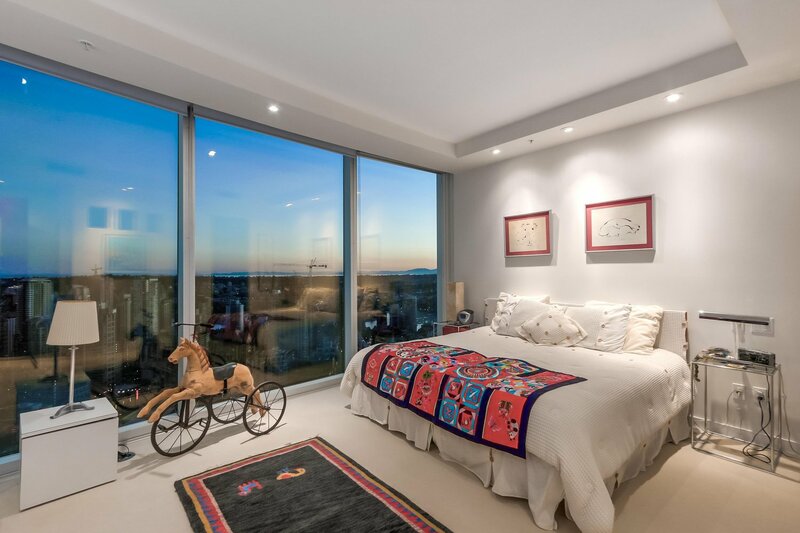 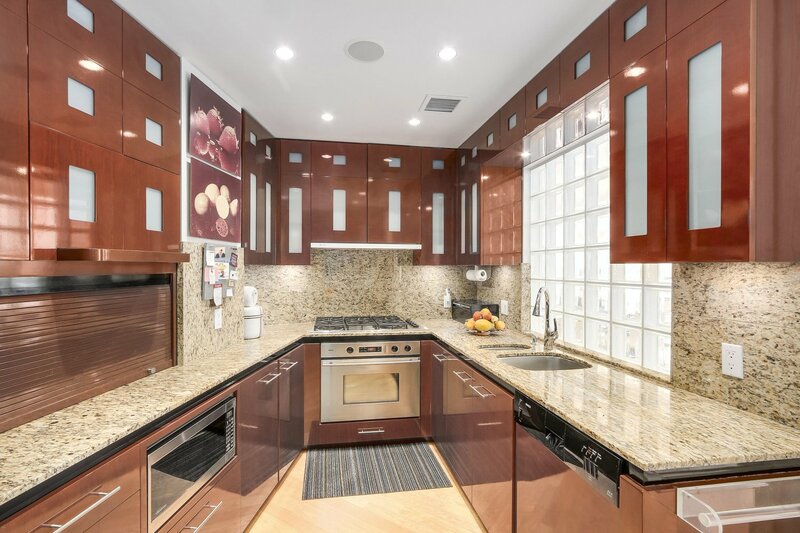 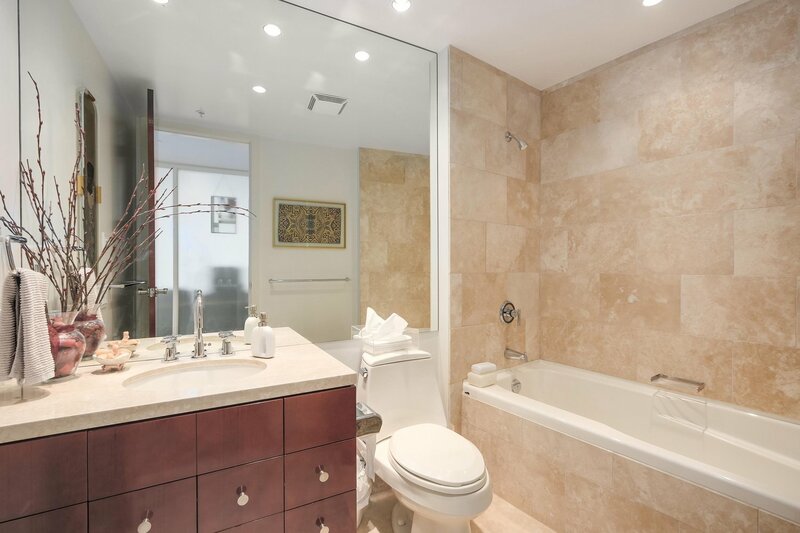 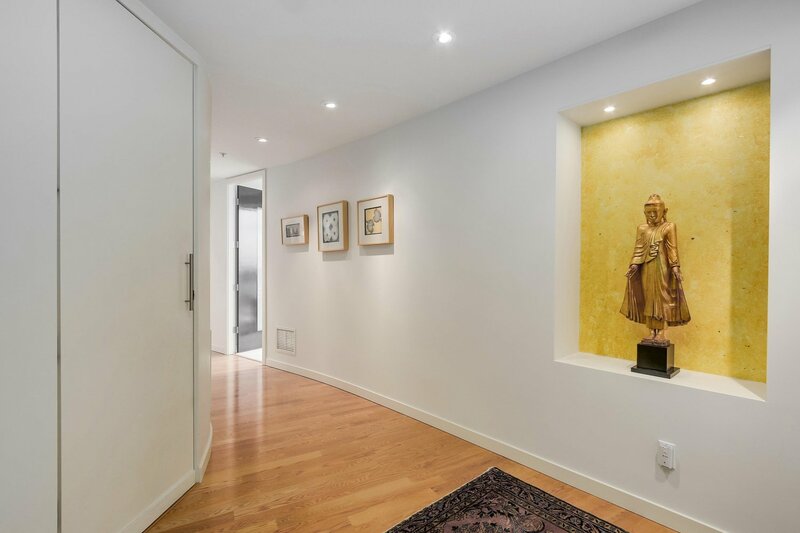 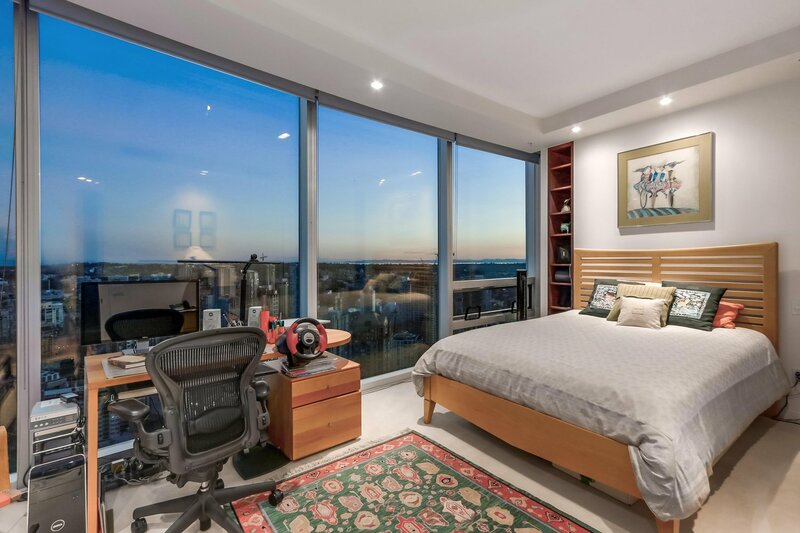 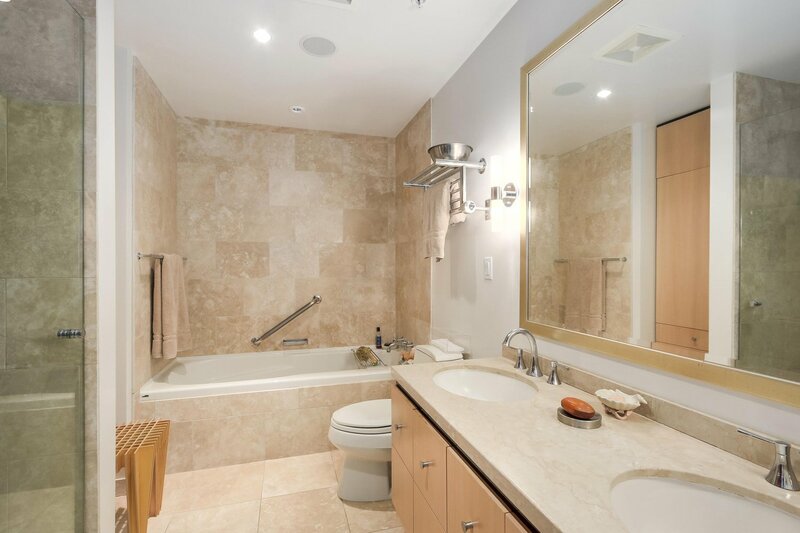 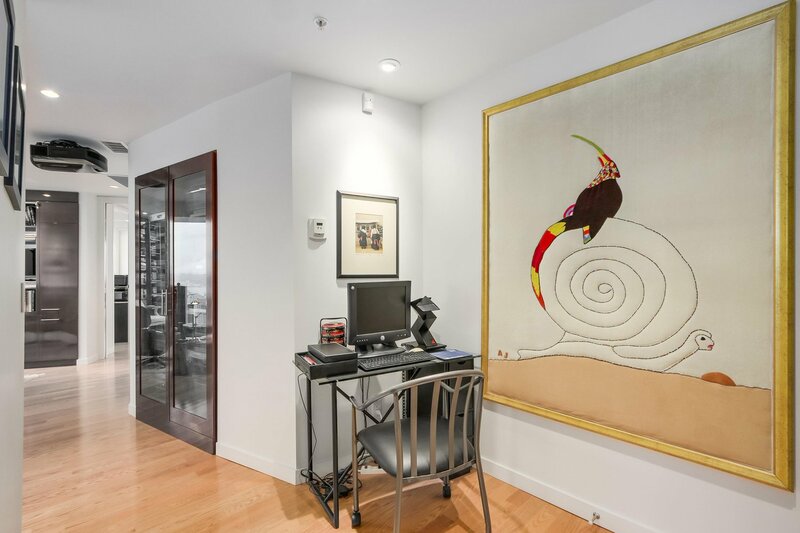 Offering 270 degree views of the city, this unit features 3,198 SF of luxury living, complete with air conditioning, multiple walk-in closets, and extensive, custom upgrades. 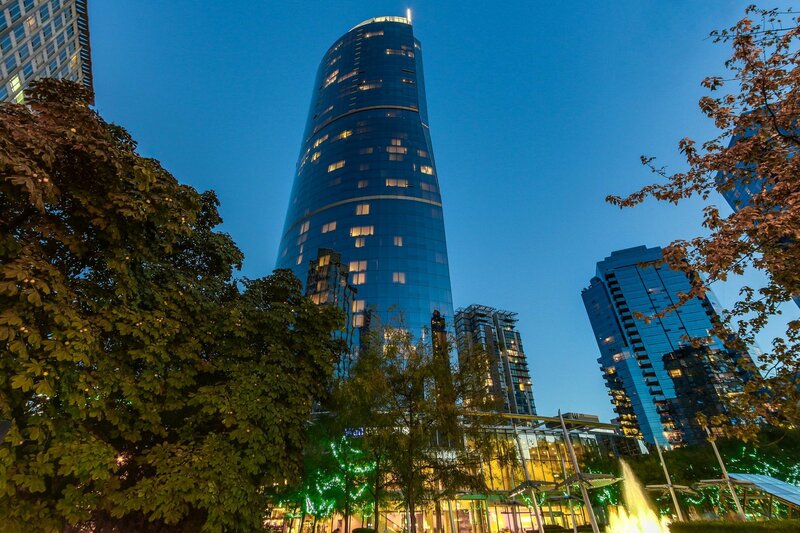 24/7 concierge and luxury hotel amenities are only an elevator ride away. 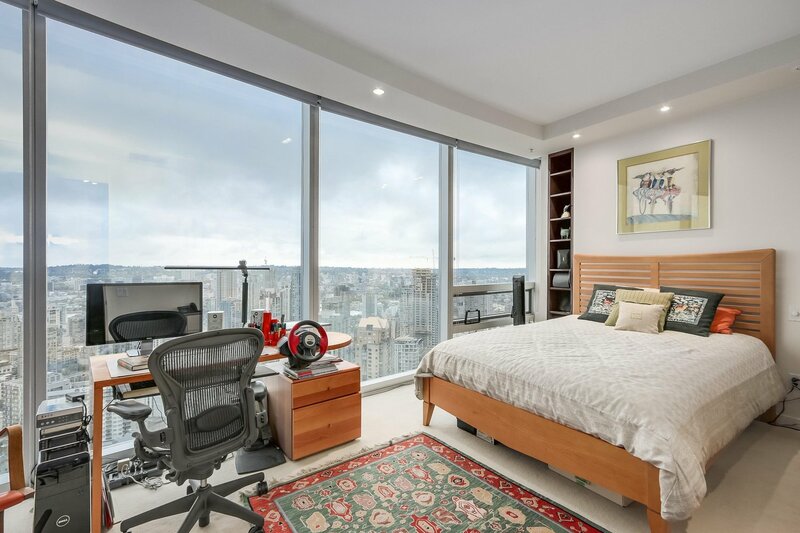 Includes 4 side-by-side parking spots and storage locker.